Today, we will publicly mourn with friends and family over the loss of Walter – a son, a brother, a father, a husband, a nephew, a cousin, an in-law, a friend, and a co-worker. People will speak about how Walter touched their life, and music and songs will be played and sung expressing the sorrow felt. Though many (buckets of) tears will be shed, laughter will be heard, memories will be shared, and comfort will be provided through family, friends, and faith. You were missed, Corkey – but we knew you were there in spirit. I am so grateful for the work you do – thank you for caring for the kids by being the best nurse ever. Love you! Thank you, Robert. We are grateful. May God’s promise of eternal life bring you hope…may His ever-present love bring you peace….and may the loving thoughts and prayers of others bring your family comfort. Hugs, friend. I am so sorry. Amen and amen, Georgette. Thank you. I know how heavy your hearts are and wish I could have been with you. My health would not permit it at this time. I’m looking forward to getting together with ALL of you sometime in the near future. Our deepest sympathy is sent from our hearts, remembering when we met you for the 1st time. GOD BLESS EACH OF YOU AND MAY OUR LORD WATCH OVER AND COMFORT YOU. Seeing Mary Alice was like visiting with you and Melody, Libby. Thank you for these wonderful words. Deepest sympathy – and love and prayers for you and your loved ones. Thank you, Katy. We are grateful for each and every bit of prayers and love. It was a great Memorial service – lots of laughs and tears, just as it should be. He will be sorely missed. I am so happy you were able to make it, Carol. Man, just writing this comment makes me cry. Thank you, thank you, and thank you. Lenore, I am so sorry for the loss of your brother-in-law. I have been following your posts on Facebook and you have just been amazing with keeping your family informed, being there for everyone and talking about the many good memories you have of Walter. I am sure your husband is really grateful for what you’ve done for him. Thank you, Kerstin. I appreciate your kind words. Walter had a wonderful group of friends – reflective of the man, I’m sure. I accept and appreciate your hugs and thoughts. Amen, MJ. Thank you very much for the support throughout these several days. It’s been greatly appreciated. Sympathies accepted. My sympathies, and wishes that his memory will ever be a blessing. Sending love. Receiving the love, Deb. Thank you. Our memories of Walter are a comfort and a blessing. I hope this day started the healing process, and that some of those tears were shed in laughter in remembrance of those great times. Thank you, Patti. Now that the memorial service is done – I do feel we’ve arrived on the path to healing. And, the memories of Walter will continue and be carried with us throughout our life. I hope in time you will remember your loved one with tears of laughter and joy at all the wonderful times you shared together. With love and friendship Lenore to you and your family. Thank you for your wonderful words, Judith. The memories are great and there is comfort in each and every memory. 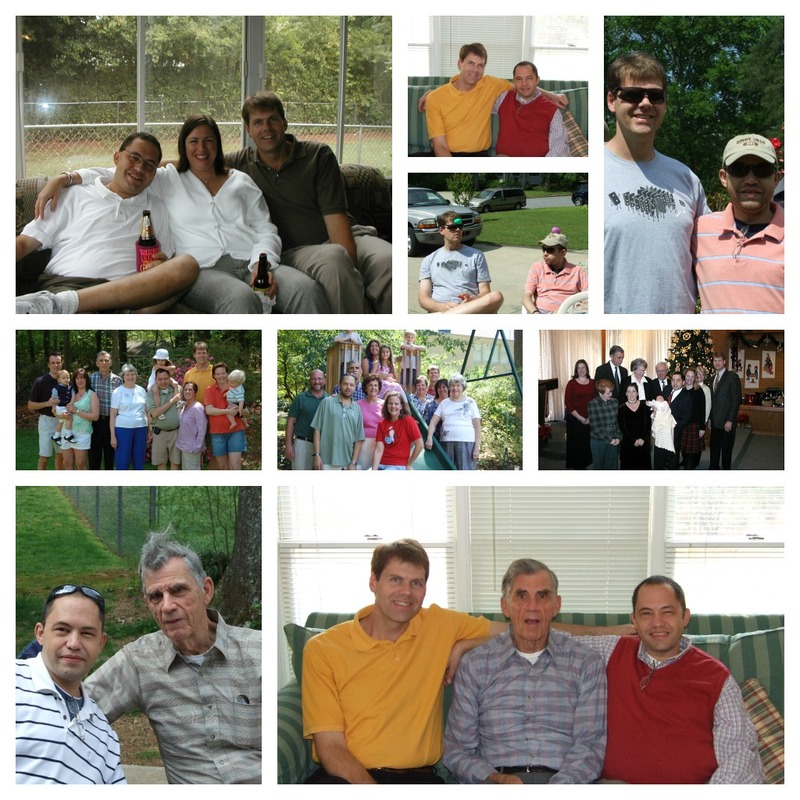 These photos reveal the warm and wonderful time that all of you shared with Walter. Touches the heart. May time ease your pain, Lenore. Thank you, Maxi. These photos and the memories attached do help ease the pain. He was just too, too young. I’m so sorry, Lenore. I hope your great memories, shared laughter through tears, will be a comfort to you all. Thank you, Peg. As odd as it may sound, now that the memorial services has come to pass, I look forward to relieving the memories through laughter and tears. We already started the process last night. With Walter there was laughter – so, we’ll do our best to keep the laughter going. My sympathies to you and your entire family. Such a difficult time right now. May peace find you all. So sorry for his loss…way too soon it seems. Thank you, Angie. It stinks, and yes – way too soon.